Stephanie Abello stepped up at the plate Wednesday night at Eichelberger Field. 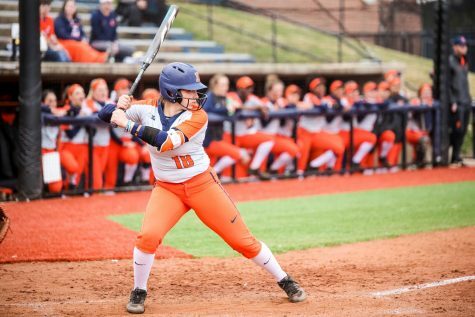 The sophomore went 2-2 with a solo home run to lead Illinois to a 5-3 victory over Illinois State. 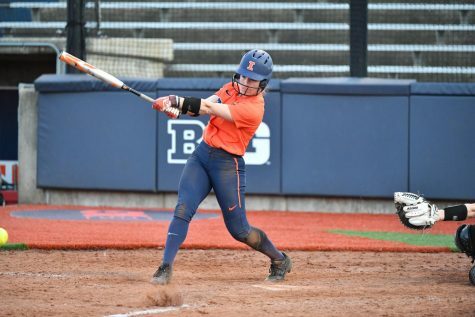 Senior Nicole Evans also had success at the plate, hitting her team-leading 12th home run of the season in the first inning, giving Illinois a 2-0 lead after the first inning. Senior Ruby Rivera lead the second inning off with a double to left field. 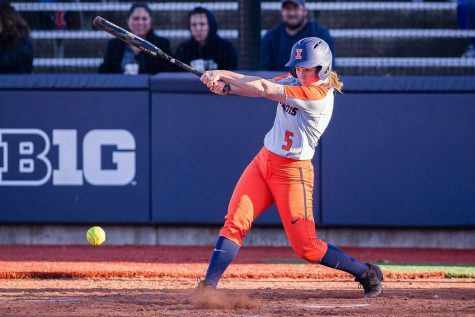 She then scored thanks to a sacrifice bunt from junior Leigh Farina and an Illinois State error on second baseman Alex Caliva. The Redbirds responded in the third inning, scoring two runs in the inning — one coming off an RBI single and the other coming from a wild pitch. 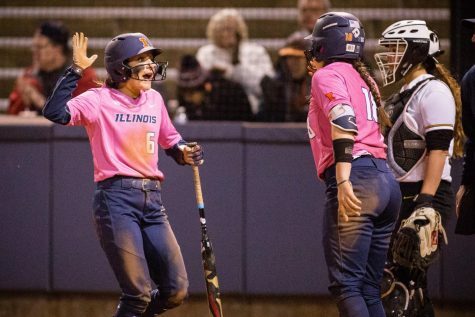 Junior Annie Fleming wasted little time answering back to the two Illinois State runs, leading off the inning with a solo home run to left field. 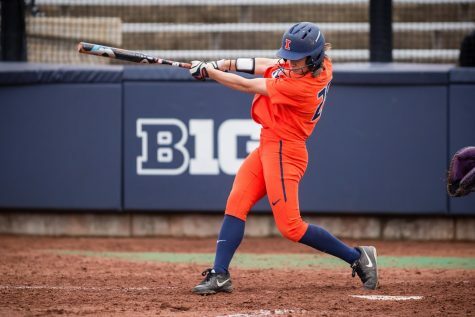 Abello tacked on another run for the Illini, hitting her ninth home run of the season. Illinois head coach Tyra Perry said she was happy with the way her lineup is hitting right now. 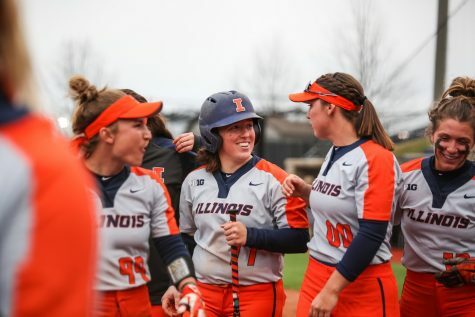 Illinois lead 5-2 after the third inning. 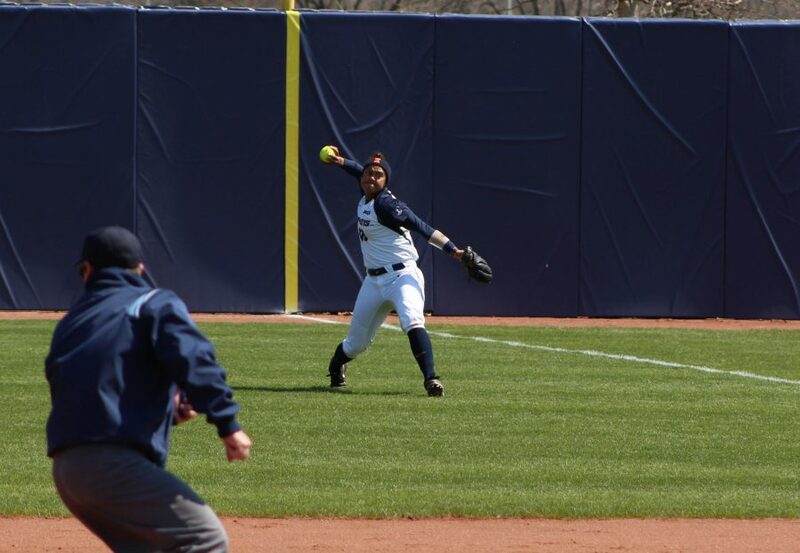 Sophomore pitcher Taylor Edwards relieved Walker in the fourth inning and pitched three 3 1/3 innings, giving up three hits and one run while striking out two batters. 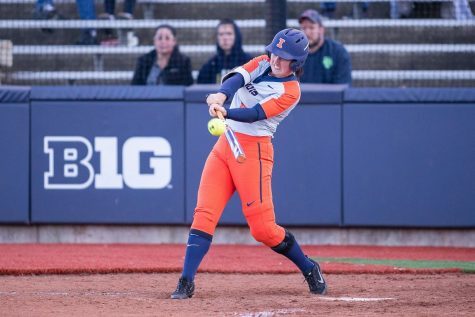 The Illini failed to capitalize after loading the bases in the fourth inning when there was one out. Both Fleming and Evans popped out to finish the inning. The Redbirds came short of a comeback in the top of the seventh inning, cutting the lead to two thanks to a Riley Hale solo shot in the inning. 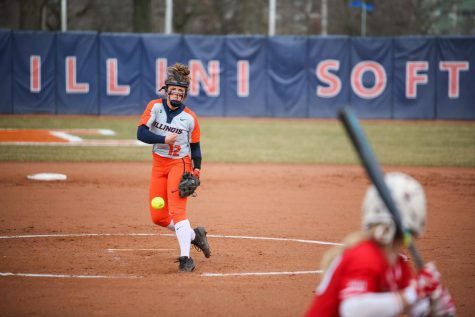 Senior Breanna Wonderly picked up the save for Illinois after coming into the game with runners on second and third and one out. Wonderly retired both batters to give the Illini the victory. 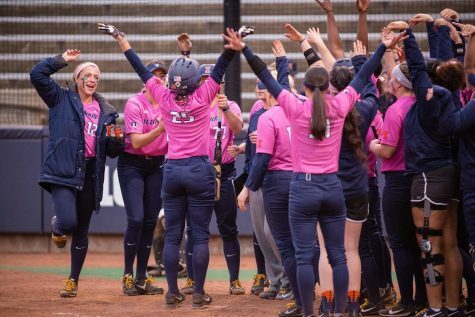 Illinois will be back in action Friday when it kicks off a weekend series against No. 6 Minnesota at home.